Hours before launch of new iPhone, Samsung launched its second flagship of the year in India. The launch started with a delay as the Samsung CEO was late on the stage approximately by an hour. Samsung Galaxy Note 8 India launch event started with the usual demo of phone and its feature but the interesting part came when Samsung announced interesting deals and offers. The company announced Rs.4000 cashback on purchases made via HDFC Credit cards. 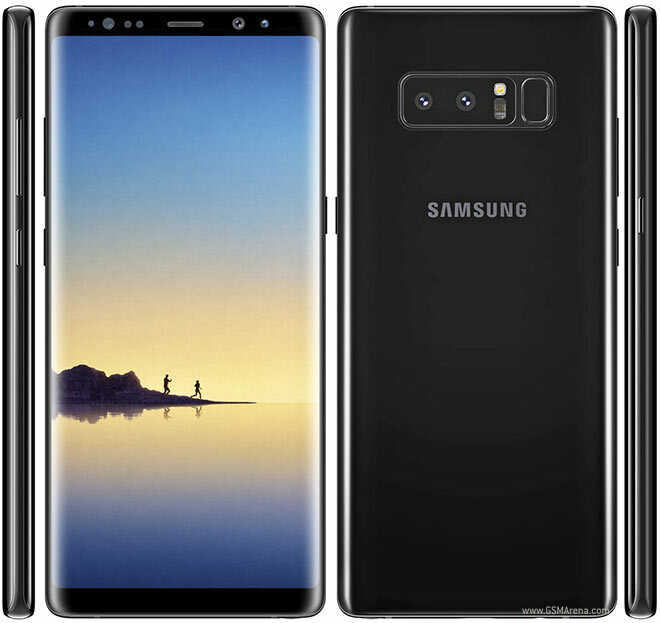 Samsung Galaxy Note 8 Features are given below in detail. Among some of the exciting features of Note 8, Bixby was something that was welcomed by everyone. The phone will finally bring Bixby Voice to India, a feature which came out with Galaxy S8 and S8+ but still was half-backed in some countries and unavailable in others. The trademark feature of Note line up is the S Pen, a hand held stylus which works a cursor for your phone. This generation of S Pen brings IP68 rating along with support for creating animated GIFs, which can be used in any app that supports GIFs. Screen-Off Memo also makes a comeback, this time with more features viz. now the Screen-Off memo supports taking notes up to 100 pages. Another feature that sets apart this generation of Note from its other Galaxy sibling is the dual camera setup. Yes, you read it right; Samsung is finally offering dual cameras. The phone comes with two dual OIS shooters on the back, with one 12-megapixel wide-angle lens camera and another 12-megapixel sensor telephoto lens camera. It has an 8-megapixel autofocus camera for selfies. The cameras come with a Live Focus mode that lets you adjust the background blur in real time. You can also do this in post too, through the gallery app. The camera takes two pictures, one with the standard lens and another with the telephoto lens. The dual camera lets you do optical zoom, thanks to the telephoto lens. There’s also dual OIS, which means you get stabilized shots from both sensors. Samsung Galaxy Note 8 will also support DEX, Samsung’s attempt to replace your computers. And with the specs that Note has, it can rival your desktop PC. Samsung Galaxy Note 8 comes with a dual rear camera setup, S Pen stylus, Infinity Display, and IP68-certification for dust and water resistance. The Samsung Galaxy Note 8 supports dual-SIM (Nano-SIM) and runs on Android 7.1.1 Nougat out of the box. It sports a 6.3’ Super AMOLED display with 1440*2960 pixels of resolution. The phone is powered by Samsung’s home grown Exynos octa-core processor coupled with 6GB ram and 64GB of storage that be expanded up to 256GB using a microSD card. All this is backed up by a 3300 mAh. The battery on Note 8 has been through samsung’s new 8-point battery check, to avoid any issues that Samsung had with the Note 7. Samsung Galaxy Note 8 is priced at Rs.67,900 and will be sold through amazon.in, Samsung retail stores and other offline retailers. Samsung has also announced a Samsung Upgrade Program, which will let you trade-in your old Note phone for the new one. So are you excited about new #note or are you team #iPhone? ?